A complicated name, for a complicated program. 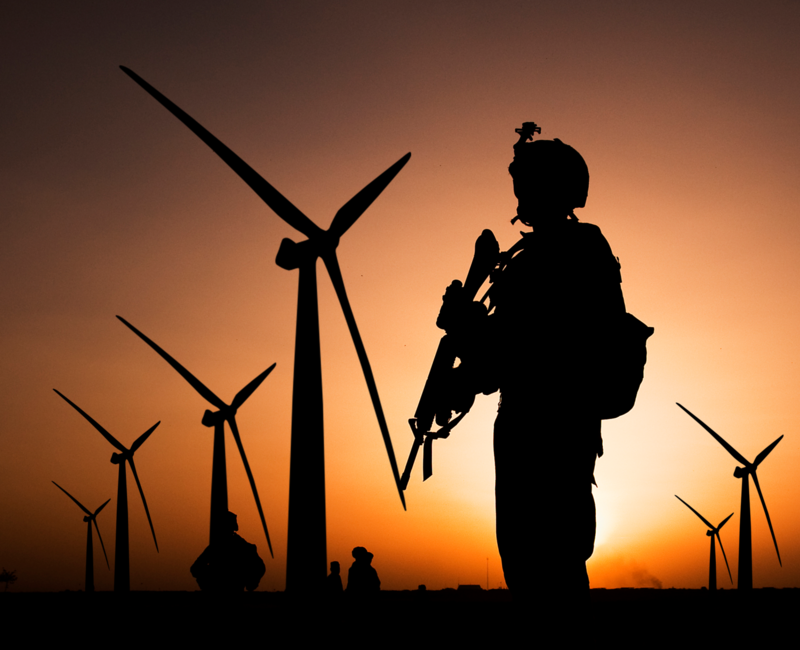 The Resident Energy Conservation Program (RECP) was implemented across all branches of the Department of Defense to reduce energy consumption among those living on base. The program creates a baseline of average use and then provides a 10% buffer above and below that baseline — those who go over the baseline are charged overage charges and those who conserve receive a rebate check. The Military Family Advisory Network was given the opportunity to brief Mrs. Dunford, the wife of the highest ranking active-duty service member, General Dunford, the Chairman of the Joint Chiefs of Staff. As a board member of MFAN, I was asked to share hot-button topics to discuss — I knew I wanted to bring this issue to the table. Many residents have complained about the program because it’s simply not working. I’m sure when people were pouring over ways to make reductions, pitting neighbor against neighbor sounded like a good idea; a little healthy competition, right? But what’s happening is that our community is being lost. Residents are discouraged by the problems in base housing and vow to never live on base again. I’m saddened by this because I’ve loved living on base. The friendships made in the community by both parents and children alike are something reminiscent of Mayberry, referenced in the Andy Griffith Show: a place where neighbors rejoice living in their small town relatively free of crime, where community and friendship blossoms among patriotic and American values. I set out to conduct a study of the RECP program in my old neighborhood, as my husband recently retired. I collected energy bills from 19 homes and compared 17 of those to 4 homes outside the base. Two of the bills collected were excluded because of the unusually high kWh use. I should note that NCIS Camp Pendleton told me they referred all RECP incidents to NCIS San Diego, because it outgrew their offices. There is currently an ongoing investigation. *Update: PAO Camp Pendleton told me the investigation is now closed with no report of wrongdoing, however, I have asked for paperwork which states that, and have not received that to date. 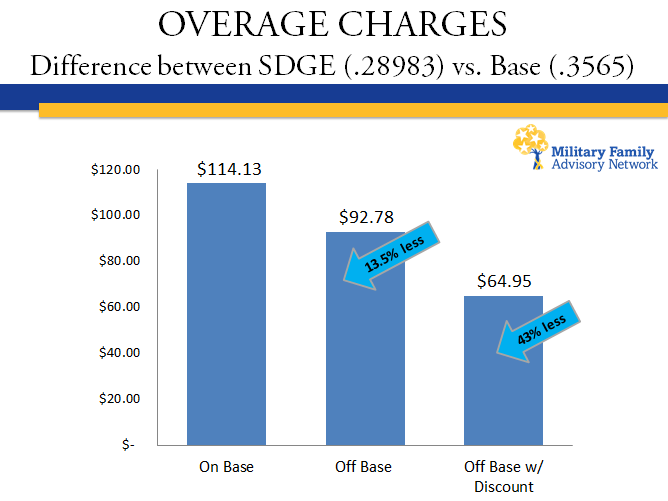 I was shocked to discover that YES Energy charges military families MORE for overages (.3565000) compared to off base (.28985). Furthermore, almost all military families would qualify for a 30% discount off their bill if they lived out in town due to low-income, however, none of the families living on base can take advantage of this opportunity. A family was billed $114.13 for overages on base. That same bill would have been $92.78 with the lower overage rate SDGE charges. Factoring the low-income discount, that same bill out in town would have been $64.95 — 43% less than this resident was charged. UPDATE: 2.10.17: Mr. Stephen Wolfe, Facility Manager aboard Camp Pendleton put out the following notice: We now know that base has the ability to charge residents less for their electricity use. And 2) the rate Mr. Wolfe refers to is flat out wrong. See for yourself — I have several more bills that show the EXACT SAME THING. I was also shocked to discover the amount of energy (kWh use) consumed on base was significantly higher than homes off-base. To be fair, I included the average gas used off base to reflect an accurate take on energy use overall. 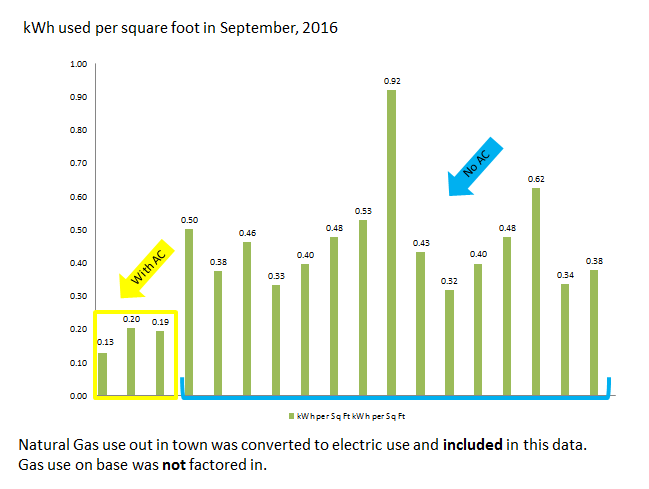 Factoring both gas and electricity energy use off base, and comparing that to the on base electric use shows an exponentially higher kWh use per square foot in base housing. This means several things to me. To start, homes built on base were not meant to be billed for independent electric use and therefore were not wired independently. Furthermore, I believe many homes are powering outside utilities such as street lights, sprinklers, and other equipment. Energy audits have shown this to be true. In fact, many residents have discovered that they’ve been powering all or parts of a neighbor’s home after an audit. What’s more concerning is that residents have been handed a printout of their energy use during an energy audit which differs dramatically from their recorded use in their YES bills. One family was billed for 665.58 kWh, but their meter showed 395 kWh use. This is a huge red flag to me! So what happens when an ENERGY AUDIT shows way less use than the family is being billed for? NOTHING. This family is still fighting for help and has been since December. Base residents are also concerned with the inconsistency in bills. Many families go through a ‘mock-billing’ trial for 3 months, and then as each month passes, the bills get higher and higher. Here’s the realities of using a statement saying that the average bill is just $35. In the example above, the year’s bills does average to roughly $36, but that doesn’t paint a true picture of how the RECP program is hurting this family. 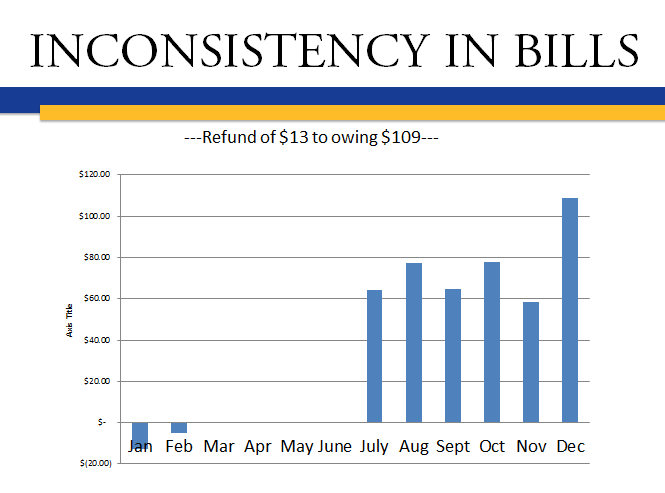 Let’s look at when residents receive high bills over a period of six months. The higher overage rate that base charges really adds up when compared to the lower off-base rates. This family was billed anywhere from $73 to almost $600 in overages on base. Those high bills over a six month period of time, ends up costing families thousands more. The same bill as above, shown over a six month period of savings had the family lived off base. It should be noted, it’s not a mlitary discount, but rather a low-income discount. In the end, families don’t understand why they’re getting these high bills. Base officials have reported residents using “illegal AC units” but in looking at actual AC use in a permitted EMFP family home, the bill was only an additional amount of $114.62, and $83.69 for two months of subsequent use. 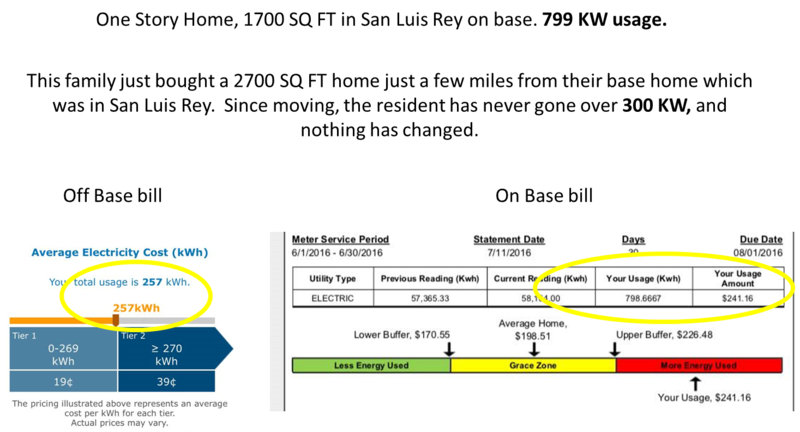 The base also states that deep freezers and aquariums also pull a substantial amount of kWh use; however, I cannot see how some residents are billed $300-500+ in overages compared to their neighbors. To me, this indicates a significant problem with the home wiring, energy efficient appliances across homes, luck of the draw if a home has trees and ventilation, and family size discrepancy. In the example above, the family couldn’t pay for the overages base billed them for, and carried forward a balance of $1101.18. They received an eviction notice from Lincoln Privatized Housing. This family had to choose between having Christmas or paying their wonky electric bill. 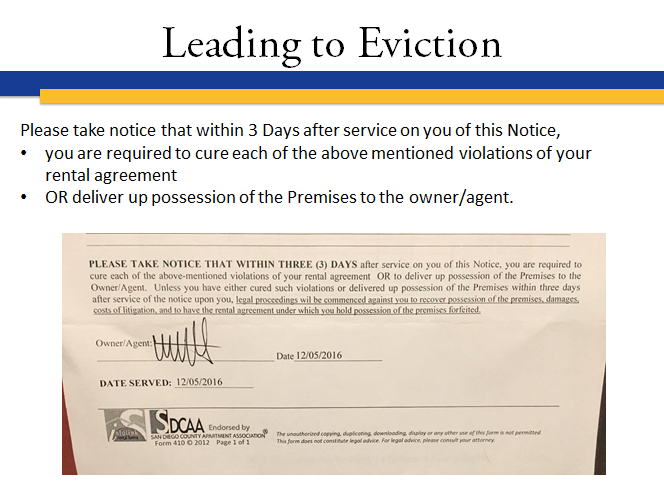 These eviction notices are troubling because most families are unaware that there is a longer process to eviction. Most believe they literally have 3 days before getting kicked out which is alarming because most military families don’t have the thousands of dollars on hand to pay for security deposits, moving equipment, and supplies. To that end, Privatized Housing is referring families to the Navy-Marine Corps Relief Society and other charities to get loans to pay these outrageous bills. Moreover, we don’t know how many of these families are going to predatory lenders to pay their bill and ultimately end up hurting themselves in long run, for an issue that is likely in part to something they have no control over. Every single family I’ve spoken to has never dealt with a base authority outside of Lincoln, so I’m not sure who the MCI Facilities team is actually engaging with, or at all. And sometimes Energy Audits do take place, and then NOTHING HAPPENS after that. The families are threatened and then believe they must pay something or they’ll be evicted off base; that is the whole purpose of using the strong language in the letter. If Lincoln didn’t believe in using the scare tactics, they wouldn’t send that kind of notice in the first place: a letter which serves as the first step in a real estate eviction process. We had an awful experience with Mr. Killian. He was extremely rude to me and my husband. He tried to give us a 30-day notice to be evicted because he got into a “verbal altercation” with my husband. He was SO rude. We kept being billed like 20 to 30$ over a month. After about 6 months of refusing to pay it and fighting with them to come inspect the electrical outlets etc (which they never did) 1stSgt just told us to pay it. Finally we got an audit and all they did was come and show us our bill. That’s it. They told us to stop doing laundry at certain times etc… over the next couple months we tried those things and still paying over. We asked them to come back out and he refused. Killian said it was a waste of his time. He got rude with me so my husband suggested when he called him that they meet in person if he wanted to talk to me like that and he told us we had to leave housing. That’s when he got his 1stSgt involved and now there are no problems. Haven’t had a bill over since. We dealt with Mr. Kilian at Lincoln. He is horrible! Condensing, and just nasty! We called him about our bill, he told us that he only deals with facts and did not care about anything else. He told us that he did not care what we did, but if we did not pay then we can just move. When we were trying to explain why we felt the bill was wrong, the answer was just “yeah OK facts are facts” he was just a nasty person. A representative from lincoln was supposed to come out last week and test things in our home. My husband took off work from 9am-11am to do so and it had been scheduled for that time frame. That morning Chelsea from Lincoln called and said A guy named Darryl was going to come at 9:30 and around 10:30 they called my husband and said there was an “emergency” and they rescheduled for his Friday. Darryl hasn’t shown up 3 times prior to this time as well for these issues concerning our bills. Andrew killian threatened eviction to my husband for my use of profanity on the phone with one of the housing reps. But I did not swear at her or scream and yell. I referred to the situation as “bs” in my frustration. They told my husband we hadn’t shown them that we’re willing to pay anything so my husband has been paying gradually over the past couple months. We’ve now paid them $420 and still owe $238. So we’ve paid them that money in “good faith” (their words) but they still to this day have not provided us with any kind of reports on our meter or our home. The only thing we’ve been told but provided no paperwork on is that from the hours of 12am to 7am our house is pulling 20-22kwh when a average household of our size should be pulling 10-13kwh. [Author’s note: looks like they’re powering a street light]. The current system is based on winners and losers and we believe all our military families deserve fair treatment. Some families are not living a normal life and it’s affecting the average. In fact, many shut off the breakers any time they’re away from home, do laundry and shower off base, all to preserve their kWh use. You cannot make a fair average when a neighbor is away for several weeks. You cannot make a fair average when powering outside utilities, or if your neighbor has more energy-efficient appliances. You cannot make a fair average when your neighbor isn’t really “living” in their home (i.e. dark homes, no laundry, etc). You cannot make a fair average when some homes have no kids, while others have several. The 10% buffer is not enough. 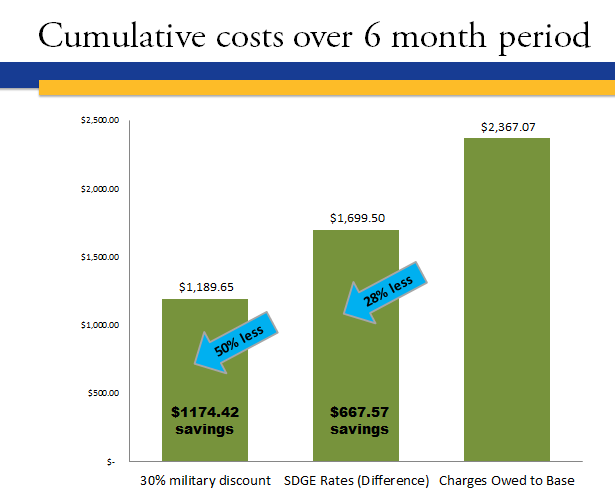 Military families do not reap the 30% discounts, nor the lower overage billing they’d receive if they lived off base. Residents are LIVING IN FEAR, in their own homes. 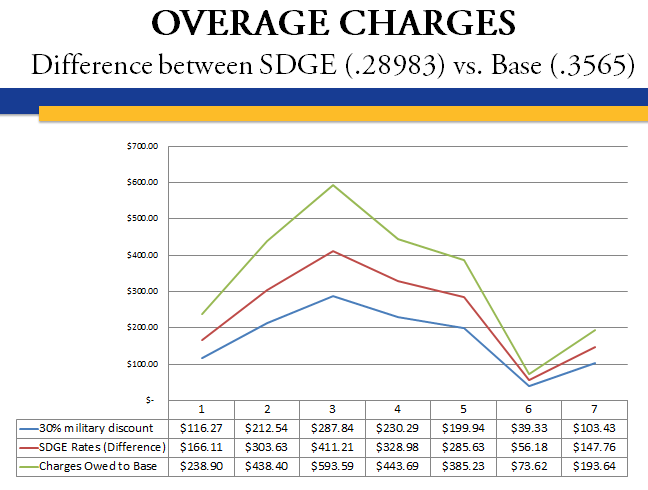 Why are families on base charged more than off base for overages? How is the Resident Energy Conservation Program funded? Is the higher kWh charge funding the program? 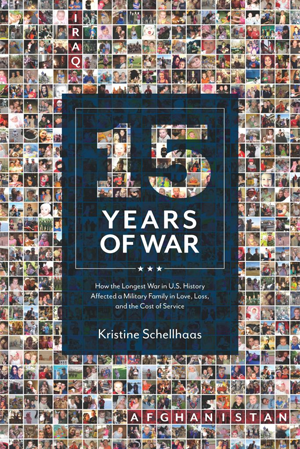 Thus, our military families (particularly our junior enlisted) are shouldering the cost of this program? BAH funds Privatized Housing, do they adjust the RECP program so they can continue functioning status-quo? Is there a program/agency to hold the RECP program accountable? Who manages YES Energy? DoD or privatized housing? What’s happening now is that YES blames Privatized Housing – Privatized Housing blames YES for problems. I have seen bills for myself comparing ‘like’ homes where suddenly the baseline for several months has been changed on one home. Why? There is a significant problem with the reporting of square footage by Lincoln (they count the square footage in garages) and this footage is reflected on YES energy bills. Are they grouping the same square footage homes, for example: [3 bedroom, 2 car garage] against a [4 bedroom, 1 car garage]? In reality, that’s an extra bedroom pulling power for one resident. There is a real lack of transparency with contracts and functions of the RECP program. Residents have reported being stonewalled when requesting detailed information or contracts. Residents have reported being treated abrasively and insensitively when trying to understand their bills and calculations. We are experiencing a cultural shift in community in our young military families; on-base housing is one of the last places this can be found. It’s disheartening to know that this system is driving people off base and damaging the community that many military families have come to know and love. So what am I missing? As an educated individual, this whole program makes zero sense. This isn’t healthy competition, this is a flawed program. See what happened when this family when they moved just a few miles off base. 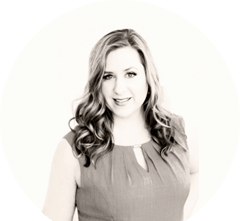 Check out some of the feedback my fellow military spouse blogger, The Seasoned Spouse, received when families contacted her. [RESIDENT] said she moved from San O2 to San O 1, and went from not paying anything to paying $60-$80 each month. Her home was evaluated, and she was told that unless they turn everything off all the time they will always owe something. [RESIDENT] paid $100 monthly for 4 months. Her home was inspected, and she was told it was her electric washer. But she was only doing laundry once a week. She now lives in Lejeune. [RESIDENT] owed nothing at first, then the bill slowly went up, until it was $300 per month. When it reached $600 (from accumulated months), they stopped paying and waited for an eviction notice, but didn’t pay because they suspected something was wrong with their meter. Their bill even went up when they were gone for 6 weeks. [RESIDENT] said her bill was $534, but after they complained to Housing and Yes, the next bill was only $36. [RESIDENT] had bills from $400-$500 monthly. She was turning off the breaker during the day, showering at a gym off base, and only doing laundry once per week. When they moved off base, their bills were only $100 monthly. [RESIDENT] said once mock billing was over they started getting charged $30-$50 monthly. The bills went up when a neighbor moved into the connecting house. Housing came to evaluate and told them to get a new dryer. She didn’t, because she said she had used it at 2 other military bases without any issues. [RESIDENT] said that her bill was always over and she always just paid it. Then one month the next door neighbor’s house was evaluated by housing. When housing turned off the breaker labeled for the neighbor’s house, all the lights in [Resident’s] house turned off. The wiring for the 2 houses was switched! [RESIDENT] said they never owed anything. Then once new neighbors moved in, [Resident’s] kWh doubled, and she started owing $60-80 per month. She filled out a survey but never heard anything back. YES energy told her something wasn’t right. [RESIDENT] had some bills for $600. YES found out they were connected to street lamps. Housing claimed they fixed the problem, but she hasn’t seen her usage change much, and her monthly bills are still around $500. Even one month when they were gone on leave most of the month. [RESIDENT] said their bill was around $150/month. They tried to leave everything off, but it didn’t change. Then they finally stopped trying to conserve, and their bills lowered to around $50. [RESIDENT] consistently had bills over $200. After a survey and evaluation, she never heard back from Housing or YES. Once she decided to leave the TV and lights on during the day, the bills went down to under $50. [RESIDENT] had a bill for $400 and was threatened with eviction. [RESIDENT] lives in Stuart Mesa 2 and goes over every month. Their bill went up when no one was home. [RESIDENT] had a first bill of $500, then $200-$300 monthly in South Mesa 1. [RESIDENT] in Wire mountain 2 had a bill over $100 monthly. When they went away for a month, the bill doubled. [RESIDENT] in Wire Mountain 2 had to pay $500 or get evicted. They called Housing and YES and couldn’t get a follow up. [RESIDENT] lives in Stuart Mesa. She says they ran the AC all summer and stayed in the Grace Zone. Then in the fall when the weather was cooler their bills were consistently $100. [RESIDENT] always owed at Pendleton no matter what they unplugged. But she had lived at 3 other bases without problems. Still not enough? 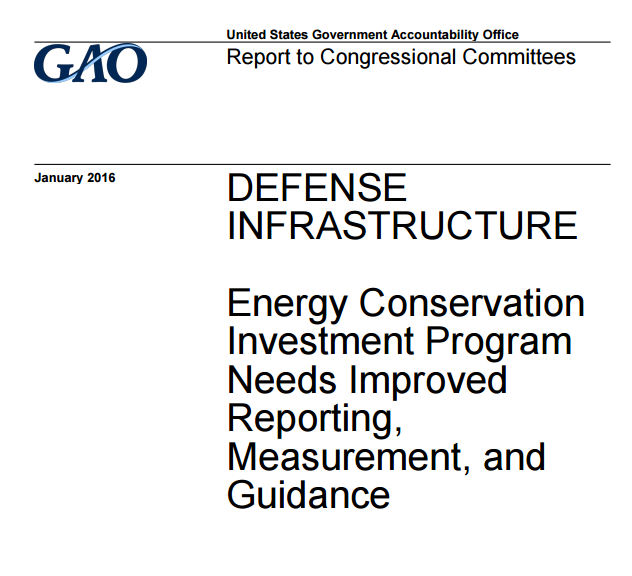 Check out this official government report. Thank you so much for shedding light on this. It blows my mind that YES and Lincoln are getting away with this. It feels very shady. We used to live in a 2 Bd 1 bath house in San O 1. Our bills were outrageous, actually outrageous isnt even the word for it. The highest we ever saw an electric bill was $1400 for the first 2 weeks of the billing cycle. Mind you we had already been placed on mock billing because our normal bills were upwards of $800-$900. We had to jump through so many hoops to get someone to come evaluate our house only to discover we were being billed for our home, our attached neighbors home, the street lights, AND the park lights below our house. Our house was so well known for the unbelievable electric bills that maintanence workers would stop by just to ask how they were looking on any given day. This was when the system was first implemented and we moved from Pendleton in 2015. I always tried to tell the head people in charge of the program for Lincoln that the system was rouge and we were being billed for everything in the neighborhood to include the kitchen sink but they thought I was crazy. I’m not surprised by this at all. We eventually moved from that 2 bedroom to a 4 bedroom directly across the street and although our bills were still high, $90 a month was nothing compared to what was being generated at our 2 bedroom. We moved from San Diego to Great Lakes base and another issue with the energy program is that the housing here isn’t sealed or insulated properly and allows outside air into our home making our heating and cooling costs more than they should be. Lived in San O 1 during the switch from regular meters to the smart meters and the whole billing start up. When ever my neighbors fire alarms went off all the alarms in my house also went off. After several calls to housing they determined they could not fix the problem and had to call in an actual electriction. After a two month wait the man spent all day in our attic rewiring the houses. Our bill was never erratic but was the lowest in Aug and Sep when we snunk and used a window mounted air conditioner. We have lived in Del Mar housing for 3.5 years and always been under the buffer zone. Then in November our neighbors became EFMP and suddenly our bill went up way above the buffer in December- a month when we were gone for three weeks. I’m not looking forward to seeing our January bill, even though nothing has changed for the past three years. The system is completely screwed! Thank you for speaking up about this! Same is happening in Balfour Beatty housing in Rhode Island. We get bills for overage while on vacation and told our fish tank puts us $50 over every month, yet we are a family of 5 being compared to the identical duplex next door with 2 working adults and 2 dogs in the same square footage. I mine as well give them a refund check every month instead of paying YES because they are never home and brag about the amount they get back. This situation is so sad and nothing short of FRAUD! I noticed a similar problem when I was stationed in Joint Base Lewis McChord. We never once had an overage until the new firm set up shop. We got the mock bills for a couple months showing we were exactly where we should be. The very first month it actually went into effect we had an overage of $30. Than it was $40. It pretty much hovered around $50 for the rest of my time in on post housing. There’s hundreds of stories like mine, many sounding like flat out fraud.